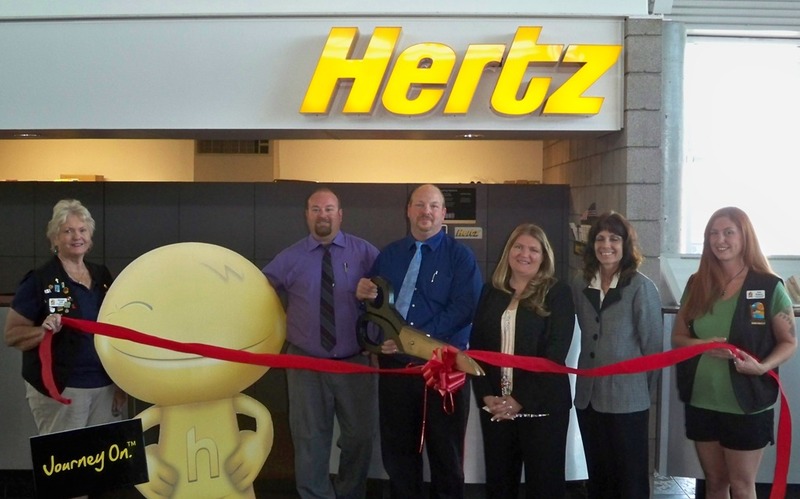 The Lake Havasu Area Chamber Ambassadors held a ribbon cutting for Hertz, celebrating its 2nd anniversary since becoming members of the Chamber of Commerce. Hertz is located at 5600 N. Hwy 95 Ste. 7. Attending the ribbon cutting from left to right are Marga Nill, “Horatio”, Christopher Gordon, Scot Brooks, Jennifer Portwood, Deborah Hennessey and Amy Walters. Hertz is open Monday thru Friday from 8:00-5:00 and Saturday and Sunday 8:00-3:00. For more information contact them at (928) 764-3994.